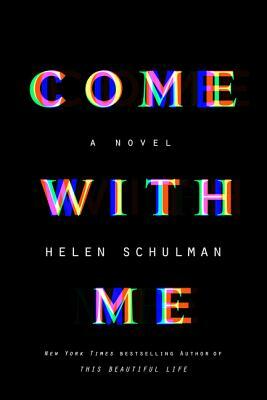 From Helen Schulman, the acclaimed author of the New York Times bestseller This Beautiful Life, comes another "gripping, potent, and blisteringly well-written story of family, dilemma, and consequence" (Elizabeth Gilbert)—a mind-bending novel set in Silicon Valley that challenges our modern constructs of attachment and love, purpose and fate. Amy Reed works part-time as a PR person for a tech start-up, run by her college roommate’s nineteen-year-old son, in Palo Alto, California. Donny is a baby genius, a junior at Stanford in his spare time. His play for fortune is an algorithm that may allow people access to their "multiverses"—all the planes on which their alternative life choices can be played out simultaneously—to see how the decisions they’ve made have shaped their lives. Donny wants Amy to be his guinea pig. And even as she questions Donny’s theories and motives, Amy finds herself unable to resist the lure of the road(s) not taken. Who would she be if she had made different choices, loved different people? Where would she be now? Amy’s husband, Dan—an unemployed, perhaps unemployable, print journalist—accepts a dare of his own, accompanying a seductive, award-winning photographer named Maryam on a trip to Fukushima, the Japanese city devastated by tsunami and meltdown. Collaborating with Maryam, Dan feels a renewed sense of excitement and possibility he hasn’t felt with his wife in a long time. But when crisis hits at home, the extent of Dan’s betrayal is exposed and, as Amy contemplates alternative lives, the couple must confront whether the distances between them in the here and now are irreconcilable. Taking place over three non-consecutive but vitally important days for Amy, Dan, and their three sons, Come with Me is searing, entertaining, and unexpected—a dark comedy that is ultimately both a deeply romantic love story and a vivid tapestry of modern life. Helen Schulman writes fiction, nonfiction, and screenplays. Her last novel, This Beautiful Life, was a New York Times bestseller. She is a Professor of Writing and Fiction Chair at the MFA program at The New School. She lives in New York City with her family.